Adults can find the means to go back to school despite the pressures of work, family and a mortgage with this guide to funding continued education. With expanded information on online learning and part-time classes and new financial aid, loan and scholarship opportunities, this updated resource teaches you how to find and win scholarships designed especially for adult students, obtain financial support from employers, get financial aid for distance learning, negotiate for more financial aid, take advantage of educational tax breaks, trade tuition costs for volunteer service and cancel education debts with loan forgiveness programs. 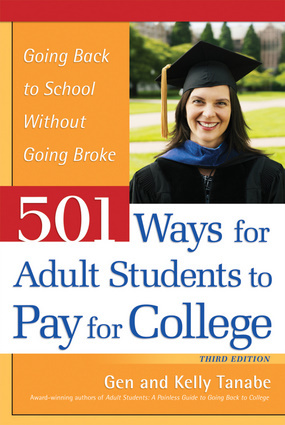 Twenty firsthand anecdotes will inspire you with creative and unusual ways to pay for your education. "What’s even better than all the top-notch tips is that the book is written in a cool, conversational way." "A 'must' for any prospective college student." "The college experience—start to finish."